Gianvito Rossi suede sandal. 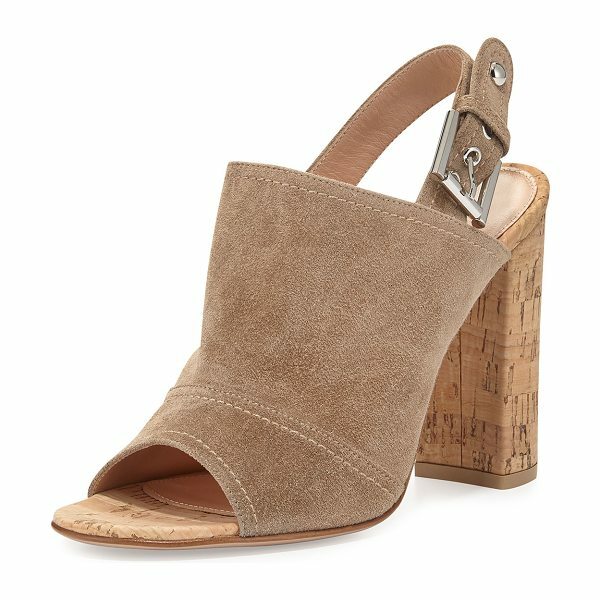 4" cork block heel. Open toe. High-cut glove vamp. Adjustable slingback strap. Leather lining and sole. "Marcy" is made in Italy.